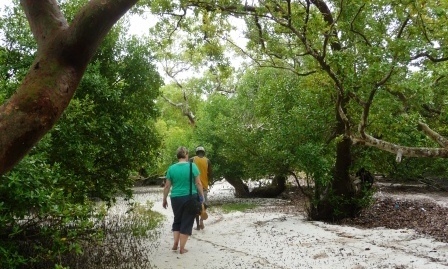 Always wanted to go to Mida Creek, so when my girlfriend from the UK came for a visit while I was in Mombasa, we decided to travel a little bit north and explore! 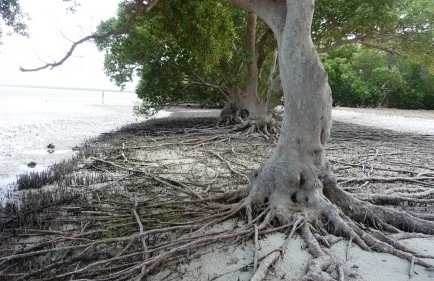 We both hadn’t seen the mangroves and wanted to escape the heat in the city, so off we went. 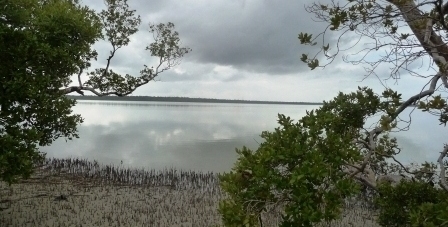 We stayed at the Mida Creek Eco Camp, which was nothing to write home about, but the location was great, it was cheap and it was a good enough base to explore from. The first day we went for a little outing to Malindi, and experience the smoothes matatu (local mini bus transportation) ride EVER; both ways. There was NO hustling, shuffling, squeezing, no speeding, and people couldn’t have been more helpful to point us to the right one on the way back to the camp. Brilliant!! We did some shopping, had a nice cup of coffee and where very pleased with our first day exploring. We ended the day with a cold tusker (local beer). What more can you ask for?! 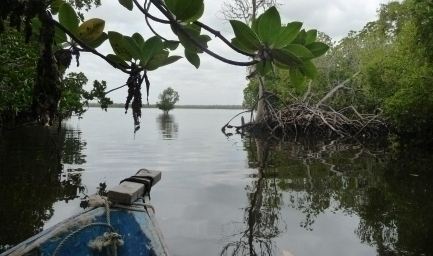 The next day we organized a boat trip into the mangroves, which had me a little worried as I get easily seasick. 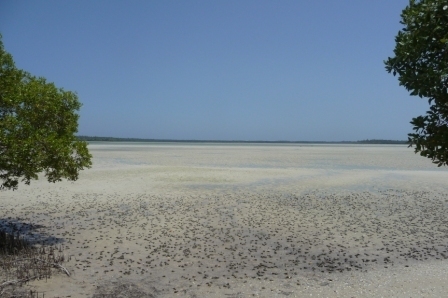 We got a bit of a late start, which made us have to wander out through some pretty slick, sticky, 'low tide' mud flats to the boat, as the tide had started to move out already and the little boat couldn’t come closer. 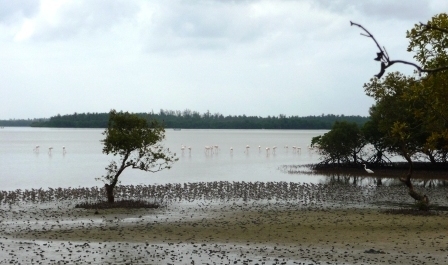 Note: "It is a large creek lined with mangrove forest and renowned for its waders, kingfishers and crab plovers. 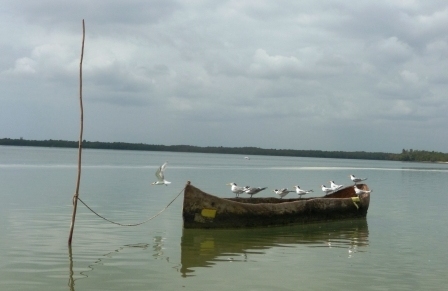 Bird watching, fishing, mangrove walks, and leisure boat trips can be arranged." 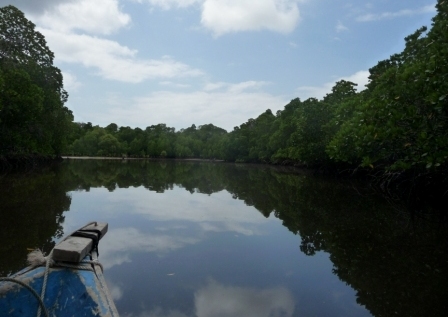 It is the most peaceful thing to move between these small water channels and mangroves. So quite! 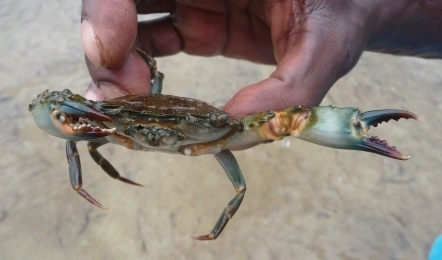 We stopped for at a small riverbank and Captain 'Happy' showed off some of the local crabs...fierce & beautiful. On the way back we had to 'fight the tide a bit as it was still going out and we’re trying to go back in...but not to worry; we were in good hands with our Captain 'Happy'. 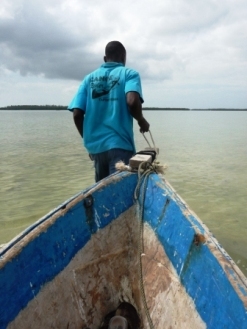 Although the walk back to camp was even longer now as the boat had to stop farther out; hence very low tide. Another cold tusker was definitely needed upon our return. We actually had two! Refreshed, we returned back to Mombasa the following day! 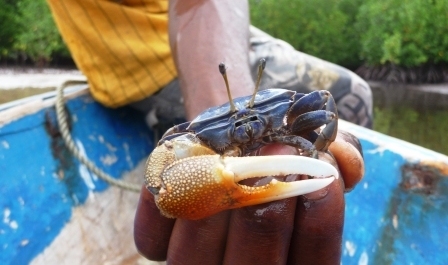 Have you been to Mida Creek? Please share with us!